Also picked these up at Stitches East. I could not resist this yummy yarn from The Sanguine Gryphon. I was, ahem, talked into getting two skeins so as not to limit my options. 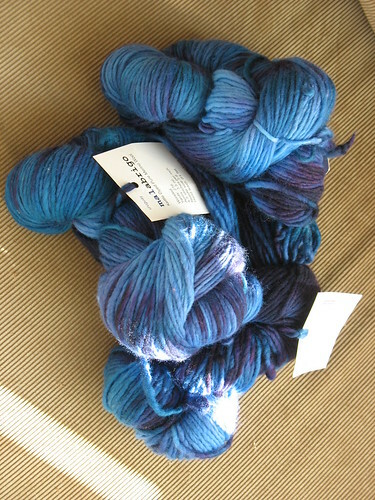 And this gorgeous Malabrigo worsted. 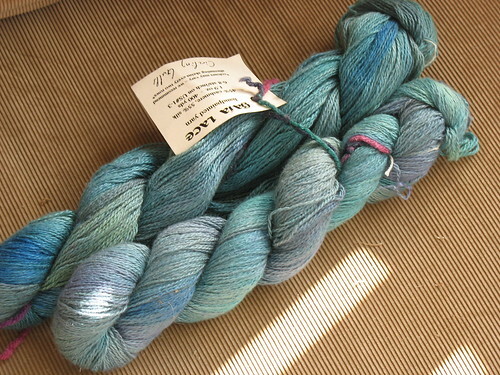 Is that Malabrigo Whales Road? I made a newsboy cap and scarf out of that colorway and wear it all the time. Love it. So soft.